Google has added suggestive search to Gmail, five years after the service was launched. The new Search Autocomplete feature gives users suggestions as they type in the search box. The function returns results such as contact names and also allows users to search through chats or attachments. Gmail users should be now able to turn on the Search Autocomplete feature from the Labs tab under Gmail Settings. After you type a couple of letters in the search box, results suggestions will show up, just like in Google Suggest. The feature will deliver contact names first in the results. You can also specifically search with advanced search operators in certain places of your Gmail account. Users will get suggestive results from their docs, photos or Gtalk chats. Searching through attachments should be a breeze as well, as users can select what kind of attachments they want the search results to deliver. 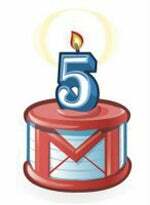 Meanwhile, Gmail is five years old today (but still in beta stage). When the service launched in 2004 it was revolutionary. Gmail allowed users to store 1GB worth of e-mail, luring millions of users -- in comparison to the 5 to 10MB other typical webmail providers offered at the time. Gmail now offers more than 7GB of storage space. But in the last five years Gmail has advanced a lot, changing the way we interact with our e-mail account. Google added to Gmail chat and video chat, SMS, tasks, widgets, offline access and undo send next to some other less-serious experimental features. Maybe after all these years, Gmail could grow up and lose the 'beta' tag -- just a suggestion.